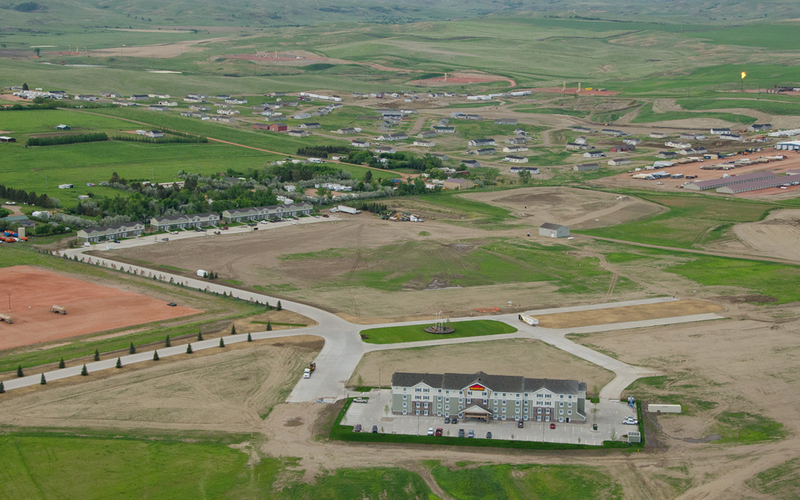 This aerial view of The Crossings was taken in Summer, 2014. DS Land acquires, entitles, and develops land for sale to third party users in Watford City, North Dakota, the heart of the Bakken Oil region of western North Dakota. Our initial project is over 122 acres in size. Other projects are under evaluation and BDS Land is committed to the continued growth of the local and regional economy. We have an extensive array of available services that provide clients with the resources and confidence to complete projects. Our longstanding relationships with respected vendors allow BDS to deliver products on time and within budget. Bakken Development Solutions, LLC doing business as BDS Land, is a full-service, diversified real estate development company located in Watford City, North Dakota.